He was born onJanuary 1,1799 in Nakano,Kiyotake village, Obi domain (today's Kiyotakecho,Miyazaki Pref. 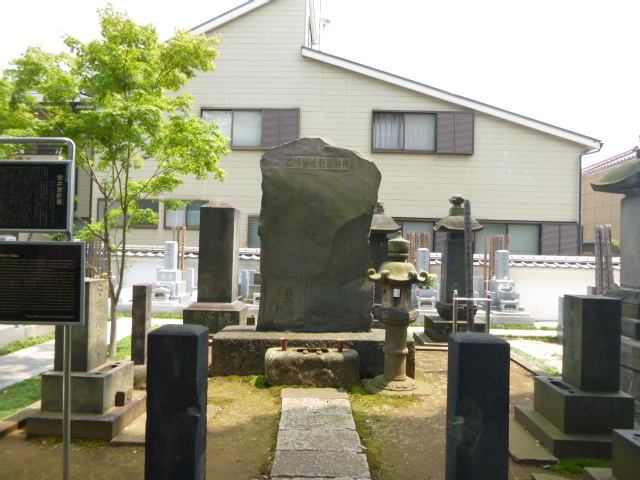 ),as asecond son for a Confician scholar Yasui Soshu,who was later appointed as a president and professor at SHintokudo School esrablished by the Obi domain (today's Nichinan City;of 51,000 koku).His birthplace was designated as a historic site by the state,under the name of Yasui Sokken's former residence. In Osaka, hi learned with Shinozaki Shochiku, and entered an educationa institution under a direct control of shogunate, Shoheiko in Edo,where he was further trained with Koga Do-an and Matuzaki Kodo.In 1862,Sokken was appointed as a tutor for Ito Suketomo,the 13th lord of Obi domani and allegedly the greatest ruler in this domain,in the lord's residence (located in today's lot of 2,Uchisaiwaicho,Chiyoda ward) in Edo.In 1862,he was apponted as an official Confucian teacher at the Shoheiko school,together with Shinoya Toin and Yoshino Kinryo.Sokken was had as his teacher his own father Soshu in the line of Classic Confuscian Learning,focused on commentaries under Han or Tang dynasties and consulted various doctrines not limited to the school of Zhu Xi,so he was excellent in precise verifications of situations of Confusius' days.He was also deeply interested in actual political situation of his days.His works include Presonal Views on Sea Defense and Collected Doctines on Analects of Confusius.He died at the age of 77 on September 23,1876,in his own house at Dotesaanbancho (today's Gobancho in Chiyoda ward). Epograph in seal script on a tomb stele,stating Epigraph for Dr.Yasui Sokken in a work of Ying Pao-shih,a provincial judge (Judge in Chief) in the Jiangsu Province of Qing China,and the main text was compiled by Sokken's discriple Kawada Oko,a tough copy in red ink on the stone for the stele was made by Kusakabe Meikaku,and engraving by Kou Gunkaku,a mason from Yanaka.